In this first part of our series on Refugee Cities and how they have become their own microcosms, we interview Ben Rawlence, author of City of Thorns, about the trials and tribulations of half a million people trapped in Kenya’s Dadaab, the largest recognized refugee complex in the world. Imagine being born into a shanty settlement on a swathe of semiarid land, just about an hour’s drive from what should be your country of birth and spending the rest of your life within the confines of a secured area measuring no more than 50 square kilometers (about 19 square miles). You have no access to money, no freedom of movement, no toilets, no means of using your skills or education. Your only option is subsistence living. This parallel world, cut off from electric grids, roads and sanitation and the rest of the country sounds like a dystopian fiction. But this, according to researcher and author Ben Rawlence, is the stark reality of life at Dadaab, the largest recognized refugee complex in the world. In an exclusive interview with Refugees Deeply, Rawlence, a former researcher at Human Rights Watch and author of City of Thorns_,_ which profiles the lives of nine people at Dadaab, talked about daily life at the camp. He has collected hundreds of testimonies from Somali refugees over a period of five years. One specific word in the Somali language – buufis – is commonly used by the refugees at Dadaab, especially by those born in the camp, to describe their intense feelings of desperation and limbo. Buufis expresses a strong desire for resettlement. But it can also lead to a mental condition where “your head is in America for example, but your feet are in the refugee camp,” said Rawlence. The arbitrary nature of the “resettlement lottery” – the only means to leave the camp other than returning to Somalia – has driven many young people mad to the point of becoming suicidal. Based on the harrowing images of the Mediterranean crossings that have dominated recent news about refugees, there is a mistaken impression that most of the world’s displaced populations are on the move. Many are in fact stuck in camps with no freedom of movement. Due to the highly restrictive approaches of governments who view refugees as a destabilizing threat and the silent acquiescence of UN agencies that are obliged to adhere to host government policies, a significant number of the 60 million globally displaced people are confined to restrictive holding spaces. These spaces have deteriorated from temporary refuges to forgotten ghettos. Dadaab is living proof of neglect and xenophobia. A majority of those living at Dadaab fled from Middle and Lower Juba in 1991, following outbreak of the civil war in Somalia. The camp, which was originally planned for 90,000 refugees, now holds between 350,000 and 500,000 people. This number is about half of the total Somali refugee population. It has transformed into a unique social, political and cultural entity that is different from both Somalia and Kenya. Based on his experience, Rawlence contends that today’s global refugee debate is misleading and based on a “fiction” of control. “You can no more control the movement of people across the Mediterranean than you can control people’s willingness to get on with their lives. Kenya does not allow for permanent structures, sanitation or work for the people at the camp. But, at 25 years, people find a way of making a life for themselves,” he said. Rawlence set out to explore the impact of such extended limbo on “the pathologies” of the residents, given the general reputation of the camp as an unsafe place for outsiders. What he discovered was a complex reality. Caira, one of the refugees born in the camp whom Rawlence shadowed, is studying to be a teacher. She stepped outside the camp premises just once in her entire life for teacher training in Garissa. “For her it was the best day of her life, to see something outside the camp. But she is pretty much resigned to never leaving the place again and possibly dying in the camp,” Rawlence recounted. Despite being educated to university level, given the decent facilities at the camp, the younger generations are unable to use their skills and knowledge. Many of these graduates, who are now in their late twenties believe that “they are the future of Somalia,” according to Rawlence. Another protagonist in City of Thorns, a young man called Tiwane, represents this “liberally minded core.” He organizes a youth umbrella group that provided basic services to refugees when U.N. agencies evacuated during the 2013 terror attacks. Gender roles at Dadaab have also evolved because of the female residents’ better access to education and distance from the intrinsic patriarchy, which is still prevalent in home communities. For example, many women are regularly voted into top political positions in the U.N.-held elections at the camp. Rawlence noticed that unlike other African governments that were much more creative in providing freedom of movement for refugees, who in turn contributed to the economy, the Kenyan government is narrow-minded in its views of refugees. The Kenyan government, he said, could actually learn a thing or two from the political, civic and social life at the camp. Meanwhile, Rumours of repatriation and disbanding of the camp are constant. Since the formation of a federal government in 2012, Somalia is deemed a “post-conflict country” that is recovering from a debilitating civil war, but with significant progress in security conditions. But this also means that repatriation and deportations are now legally possible. According to UNHCR, the Tripartite Agreement they signed with the Kenyan government “constitutes a framework to ensure that repatriation is safe and dignified and fully voluntary.” Most Somalis feel that the conditions inside the country remain insecure, with high chances of persecution based on their clan identity. Rawlence recognizes the quandaries the U.N. faces while operating in Kenya. “The U.N. has a difficult job in a difficult part of the world. The fact that Dadaab is still open is significant in itself. But, in the face of pressures, it does not stand up to the Kenyan government on behalf of refugees as much as it should and often makes political compromises to keep Dadaab running and more recently with voluntary returns,” he said. New refugees have continued to arrive at Dadaab, especially in recent years, following severe drought that led to famine and food shortages in 2011. As fighting between rival groups exacerbated conditions, at least 260,000 died in Somalia due to starvation during this period. 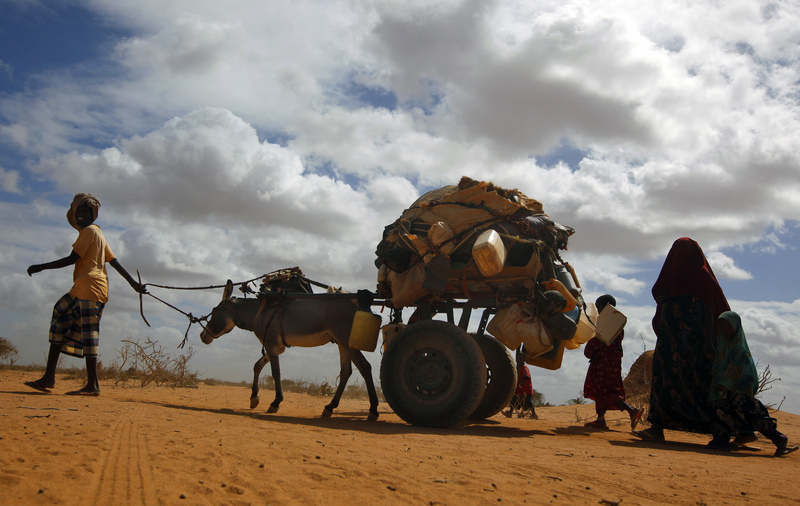 Arrival rates at Dadaab exceeded 1,000 per day for several months in 2011, according to UNHCR. “One of the last resorts is to go back to Somalia, which the U.N. is pushing, which the Kenyan government is pushing. But it is a negative choice. When the ration cards come late – and they only come once a year now because of World Food Programme funding cuts – people return to Somalia. This is out of hunger and not because they feel it’s safe,” Rawlence said. Since the 2015 attacks that Somali Islamist group Al-Shabaab carried out at Garissa University, claiming the lives of 147 students, the Kenyan government has been more vociferous about disbanding the complex. They claim that residents at Dadaab harbor Al-Shabaab fighters. “Yes Al-Shabaab pass through the camps, and when they do, they are often reported. There has been no major Al-Shabaab planning in the refugee camps in the manner that the Kenyan government has suggested. What I discovered after five years of regular visits to the camp was how irrelevant extremism was to the daily lives of the people living here. The way in which terrorism does affect the people is how the international community responds to them as refugees and how budgets are spent on security. This narrative has a very pernicious impact on the lives of the refugees,” Rawlence said. Rawlence’s descriptions of relatively decent standards of education and marked improvement in social status for women living in the camp counter the Kenyan government’s narrative of extremism driven by desperation. 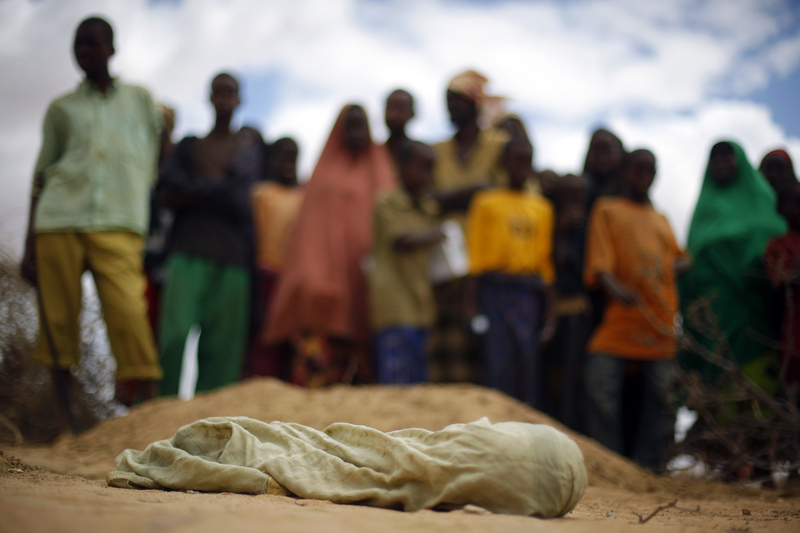 “Ninety percent of the people who fled to the camps are from the 1990s when Somalia was moderate and largely Sufi. The assumption of the link between poverty, marginalization and extremism [in this case] is a fallacy,” he said. 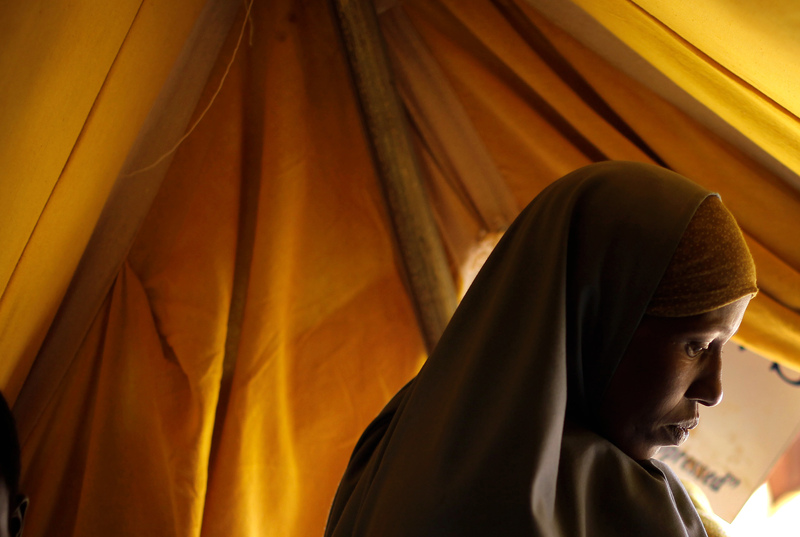 “Young women in the camp are able to resist the clan, resist FGM (female genital mutilation), choose their husbands and go to school, which would not have happened in Somalia. It is a surprising side effect of the camp – the space that has allowed relative empowerment of women,” he said. However, these educated and skilled refugees at Dadaab are still awaiting a mutually beneficial setup with the Kenyan government. With no real jobs on offer in Kenya – resettlement in a third country, repatriation to Somalia or clandestine journeys to Europe are the remaining choices for those who want to leave. The resettlement lottery allows 2,000 people to be picked per year to be moved to the U.S., Europe or Australia. An increasing number of Somalis have embarked on journeys to Europe with conflict-riddled Libya becoming their main country of transit. Many risk disappearing with few traces, given the complete collapse in rule of law in Libya, the notorious smuggling clans and deep racism towards black Africans. Meanwhile, it is highly unlikely that Dadaab will shut down, according to Rawlence. Dadaab, he said, is a lucrative means of illegal income for Kenyan officials in charge of securing the camp. Corruption is rampant at all levels of administration, he said. At the same time, it appears equally unlikely the camp will be integrated into the Kenyan society and economy. “The most shocking thing for me was, if the residents want anything other than basics such as beans and rice from the U.N., if one wants vegetables or sugar or tea, they would need to sell their food vouchers [as a currency] to buy these items,” Rawlence said. Due to absolutely no access to money, both the residents and officials use the vouchers as a means to buy, sell and bribe their way out of situations. Indeed, hunger has become the only form of currency for a population as large as Bristol or Denver that is being kept deliberately constrained and artificially alive. This story is part of our series “Refugee Cities,” where we profile the world’s largest refugee camps and examine the ecosystems of individuals, organizations, and initiatives that hold them together.